Please Allow 7 to 10 days business for delivery - Express shipping is not available on this Item. 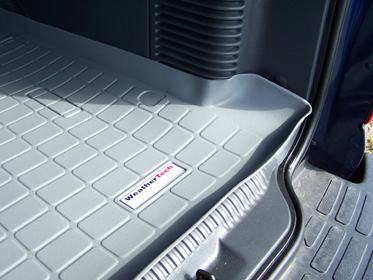 Weather Tech Cargo liners are the clear choice for protecting the cargo area of your SUV or Jeep. The design and fit of each floor liner is well thought and a perfect fit. Weather Tech Cargo liners are designed to protect your carpets and floor even under the most harsh conditions. They're easily removed and cleaned with soap and water but if heavily soiled can handle even the strongest all purpose cleaners. ProsOutstanding craftsmanship, fit, and durability. Easy to install and clean.